St. Nicholas Miracle Garden’s goal is to create an urban garden with a strong community presence. The garden tries to take advantage of its location to become an environmental and educational asset for the community about gardening, healthy eating, and sustainable living. The garden is launching a compost collection system at their community garden that includes a neighborhood education component about how to compost and drop-off sites. 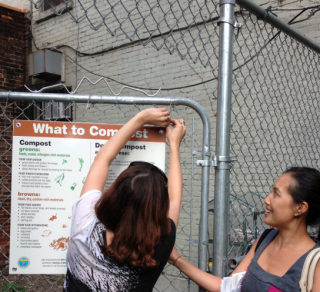 2013 Winner of First-Ever Manhattan Community Scale Composting Contest.